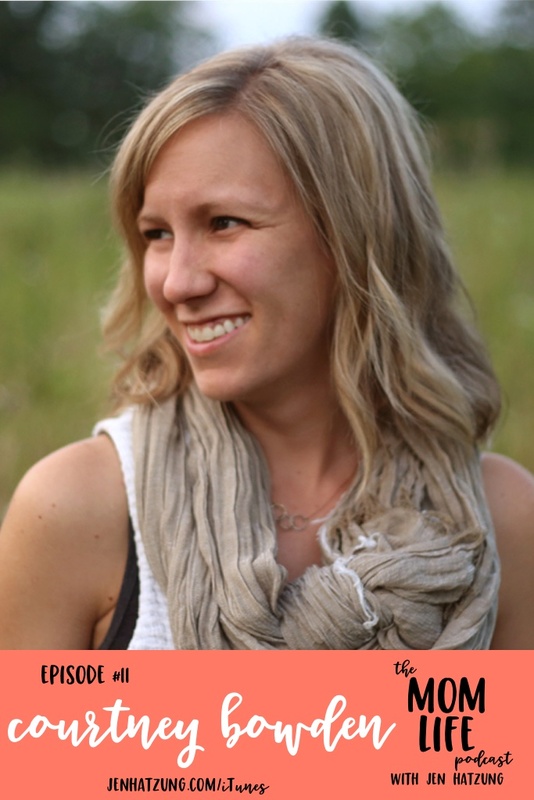 Last week I was a guest on Jen Hatzung's show: The Mom Life Podcast. I met Jen years ago, at my first blogging conference, and have kept up with her various projects since then. She started a mom-centered podcast earlier this year, talking with "moms who are leaning into finding their direction" and after checking out the first few episodes, I knew I wanted to get in on the fun! I've done a podcast before, but just once, a few years ago, so I'm hardly a pro. But Jen is so easy to talk to, I kind of forgot wasn't just a chat with a friend. (Well, it was a chat with a friend. A chat that was recorded and then published on the internet). To prep, Jen sent over some prompts to get me thinking...It was so helpful to start get my thoughts down on paper before we talked, and it was interesting to see how much my perspective has changed over the years. Sometimes (most times) I can't believe I've been a mom for over five years...or that I have three kids. I still vividly remember the early days with just one, where I felt like I seriously might not make it. There's no way I could have imagined the life I have now, or felt like I'd actually have wisdom to share with others! Now of course, I don't have all (or many), (or any?) of the answers to motherhood's mysteries and challenges, but I loved being able to look back on my experience thus far, and feel like the things I've learned along the way could help encourage someone else. I'll never feel like "I've made it" as a mom...but this was a little bit of validation that I'm come a long way as a mom, and a reminder that I can be used in big and small ways even while I'm still a work in progress. Early motherhood was SO STINKING HARD. 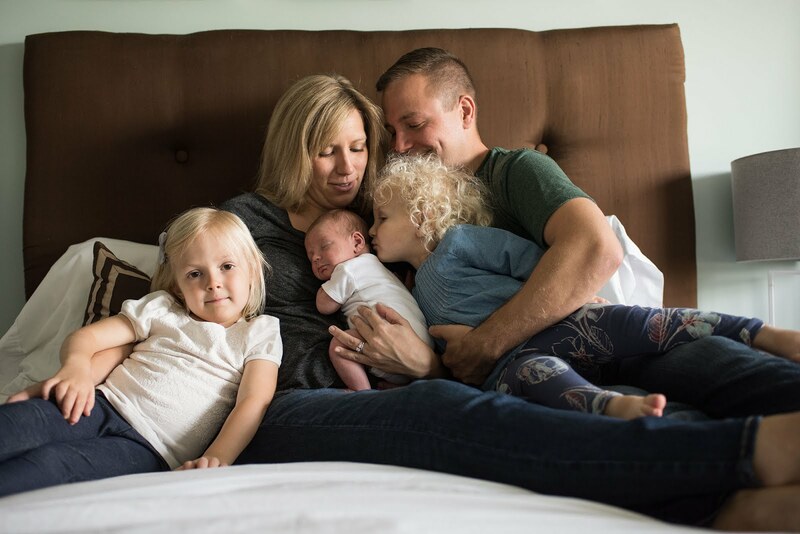 The first time around, my world was rocked, physically and emotionally, and there were about 8 weeks where I muddled through everything on a roller coaster of "this is the best thing that's every happened to me!" and "why do I feel so inadequate/broken and why can't I stop crying?" Both times I eventually found my groove. But with kid number 3 it was BLISSFULLY different. 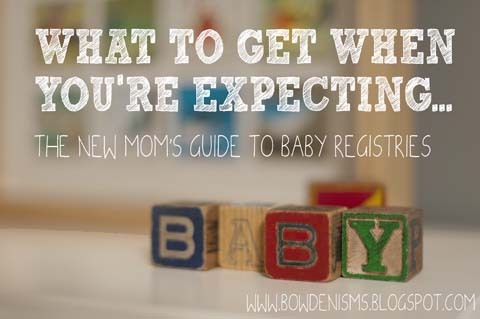 I don't know if it was actually easier...I think it was a combo of a good baby, lower expectations, and a little bit of experience on my side. This time I knew it was going to be hard, and I braced myself differently. So I still had hard days (/minutes/hours/weeks) but it doesn't feel all consuming or hopeless like it had with the others. Any of my "success" now, I attribute to revisions to (and lowering of) my expectations. When all three of them are wailing at the same time, I'm better able to let it ride, because OF COURSE they're all crying. What do you expect with 3 small kids? Things are a mess (figuratively and literally) with us a lot of the time, but I'm much more ok with that. I have less to prove, and my pride has been eroded over time. (in a good way...mostly...I think...) I figure a family of five, with two full-time-working parents is going to run somewhat on a wing and a prayer. So we are winging it and praying a whole lot of the time. Oh girl. You are going to be bad at this. I am hard-wired with a need for achievement and significance. So I've spent my whole life chasing both. Motherhood is nearly impossible to feel accomplished at, so it's been a struggle for me...to struggle. I still feel like I'm doing everything wrong at times, but I'm less surprised or rattled by my incompetence. It's been huge for me to not only learn how to mother, but to learn how to do something that will never be finished. You can listen to my episode here, and if you get hooked- you can check out the whole show. And if you can't get enough of audio-Courtney, feel free to listen to my episode of the Sarah R. Bagley Podcast, (or read my recap notes from that show).